I'm trying to connect to a SqlServer instance - located in my host machine - from my VM, using Sql Server Management Studio. PC-MASTER (Host): Windows 8 PRO-English w/ SQL Server 2012 Express. SQL instance name is "PC-MASTER\SQLEXPRESS". MyVM (VM): Windows Server 2012 BR-Portuguese w/ SQL Server 2012 Standard. SQL instance name is "MYVM". SQL Configuration: The host SQL is configured to allow only static access through the port 1433, as Somantra pointed out. I can only connect to the local SQL instance. I cannot connect to the host using telnet: I tried the ports 21, 23, 80, 1433 and 1434. So for #1 I need to open 1434 and 64670 and for #2 I just need to open 64670, but use a different SQL connection string. Not the answer you're looking for? Browse other questions tagged sql-server hyper-v windows or ask your own question. 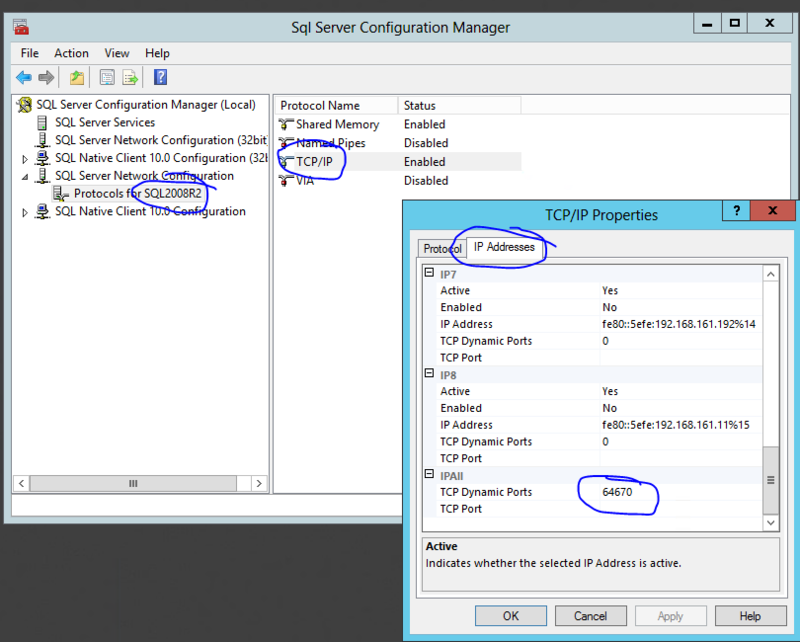 Why cannot connect to SQL Server by the full server name with instance name?